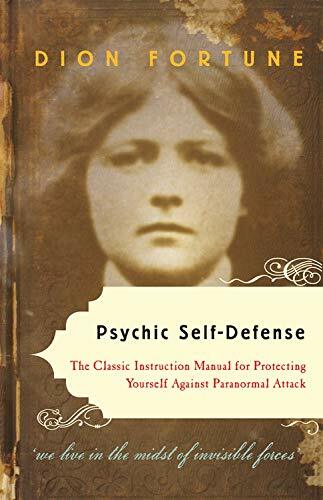 Psychic Self-DefenseAfter finding herself the subject of a powerful psychic attack in the 1930's, famed British occultist Dion Fortune wrote this detailed instruction manual on protecting oneself from paranormal attack. This classic psychic self-defense guide explains how to understand the signs of a psychic attack, vampirism, hauntings, and methods of defense. Everything you need to know about the methods, motives, and physical aspects of a psychic attack and how to overcome it is here, along with a look at the role psychic elements play in mental illness and how to recognize them. This is one of the best guides to detection and defense against psychic attack from one of the leading occult writers of the 20th century. Dion Fortune (1891-1946), founder of The Society of the Inner Light, a Society for the study of Metaphysical Religion, Mysticism, and Esoteric Psychology, is recognized as one of the most luminous figures of 20th-century esoteric thought. A prolific writer, pioneer psychologist, and powerful psychic, she dedicated her life to the revival of the Western Mystery Tradition. She was also a member of the Order of the Golden Dawn, whose members included A.E. Waite, Aleister Crowley, and W. B. Yeats.